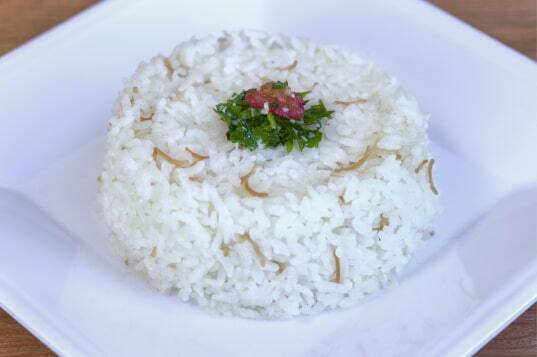 Delicious Turkish rice, mixed with noodles and cooked to homemade perfection. Simple perfection; combination of fresh and finely chopped tomatoes and cucumbers, sprinkled with fresh parsley, all dressed with lemon juice, vinegar and extra virgin olive oil. All salads are erved with fresh grilled pita bread, Jajik and Doner G sauce. Also available with a topping of Doner beef or Chicken Kebab.